For your benefit, we went ahead and wrote articles on the topics covered in the webinar. You can read them in the blogs linked above. And there you have it! If you like this post, please like it and share it. 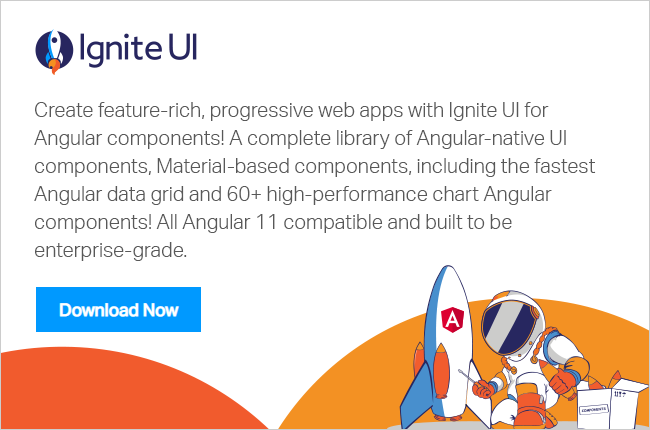 In addition, if you haven’t checked out Infragistics Ignite UI for Angular, be sure to do so! They’ve got 30+ material based Angular components to help you code speedy web apps faster.